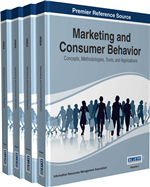 This chapter seeks to extend current knowledge relating to innovative methods in marketing. The authors consider the significance of SMS marketing amongst Small and Medium Enterprises (SMEs) within South Africa and aim to emphasise the various advantages of SMS marketing to SMEs within emerging economies. They look at how SMS marketing has emerged within the Western world and how it could be just as successful in emerging economies. Different factors are considered such as the background to SMS marketing, what SMS marketing entails, the trends of SMS marketing globally and more specifically within South Africa. The authors then discuss the emergent key themes of SMS marketing relating to its most beneficial characteristics such as cost efficiency, reach, and consumer perceptions. The findings offer significant insight into how SMEs can better understand consumer perceptions about SMS and in turn employ SMS marketing as a source of sustainable competitive advantage. This chapter examines the increasing significance of SMS marketing among small and medium enterprises (SMEs) within emerging economies such as South Africa. Given the increasing recognition of today’s competitive business environment, it is critical that owners of SMEs and entrepreneurs explore proactive and innovative marketing avenues, as well as technologically innovative avenues of communicating more effectively and efficiently. In fact, the 21st century is renowned for its consistently innovative advances in technology and has demonstrated the “rapidly evolving world of the internet and mobile technology” (Timpson and Troutman, 2009, p.57). As a direct marketing tool, electronic short message service (SMS) is likely to surpass internet advertising (Trappey and Woodside, 2005). The mobile phone industry reported that some 78.9 billion texts were sent globally in 2008 (Mobile Data Agency, 2009). More recently, the International Telecommunication Union (2010) reported that 6.1 trillion or 600,000 text messages are sent every second. Given that use and access to SMS is commonplace (Hanley and Becker, 2008) this chapter aims to explore how the use of SMS marketing can be implemented to support marketing activities of small and medium enterprises (SME’s) within emerging economies such as South Africa. SMEs in South Africa is defined as “small” if the business employs more than ten and less than fifty employees and as “medium” if the business employs more than 50 and less than 200 employees (Nieman, 2006). However, even though companies are investing heavily in mobile marketing within the Western world, this new and innovative channel is yet to be fully understood (Barnes, 2004). A recent study by Leppaniemi et al., (2006) that analysed journal articles and conference proceedings about mobile marketing illustrated how the number of research articles relating to opportunities in and use of SMS marketing has been minute to date, demonstrating the need for scholarly attention in relation to the area of SMS marketing within emerging economies. To determine how SMEs in South Africa can benefit from using SMS marketing. To identify which businesses are already using SMS marketing in South Africa. To explain why business find SMS marketing useful. To describe how small business in South Africa can benefit from using SMS marketing. To propose how SMEs can implement SMS marketing as a marketing strategy to gain a competitive advantage. The intention is that through the illustration of South Africa, we will provide an avenue for SMEs within other emerging economies to also consider the use of SMS marketing within their organizations. Consistent with the growth in SMS marketing, is the emergence of the internet, which has had a tremendous impact on the way business is undertaken within many organizations (Bamba and Barnes, 2007; Carroll et al., 2007). Marketing is probably one of the areas most affected due to the possibilities that are offered by online communications (Krishnamurthy and Singh, 2005; Sheth and Arma, 2005). Along with technological innovations and advancements, the mobile phone has recently emerged as a potential channel for marketing communications and in turn drawing enormous interest from both marketers and consumers to mobile marketing (Karjaluoto et al., 2004).